BabyTree Projects would like to warmly invite you to the second screening of our short film. Next Sunday the 10th of April. 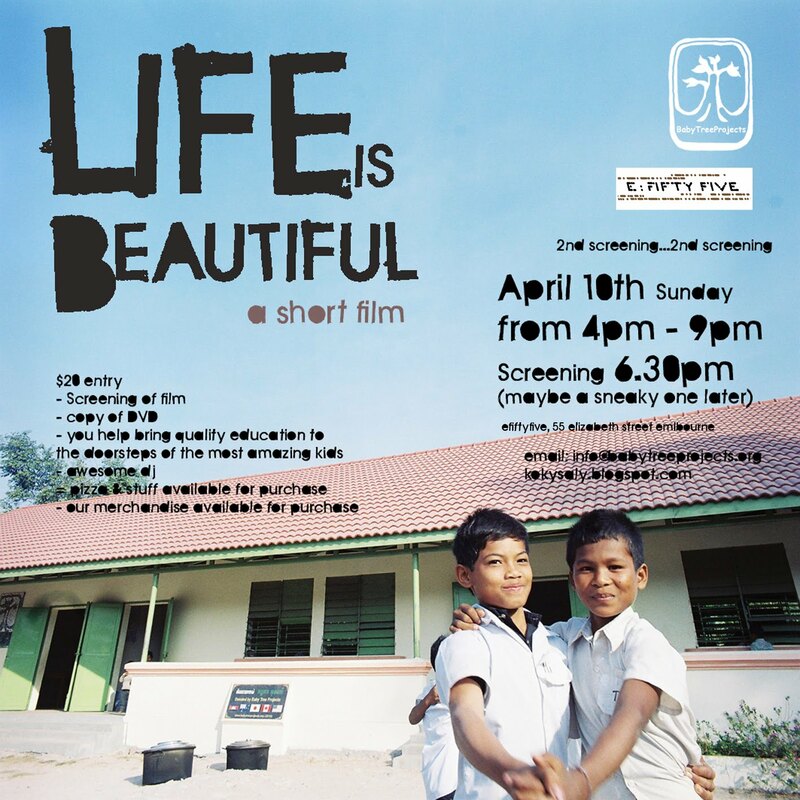 Screening will be at 6.30. $20 donation and you receive a copy of the DVD. All money will go towards our next project this December, we will be returning to anlong krang village to build a secondary school, document more of our journey and run art workshops plus lots more. It would be a great honour to have your beautiful face and support on the night. Unite with us and thousands of children around the world in bringing quality education to the doorsteps of the most amazing kids you will ever meet.